Here are the things I love most in the world (minus jalapenos) all in one meal!! I saw this recipe on Pinterest, and it came from the blog Sugar Cooking. I’ve taken a few minutes to look around her site, and there seem to be several delicious recipes that I’d like to try! J. Boyd loved these and so did I! 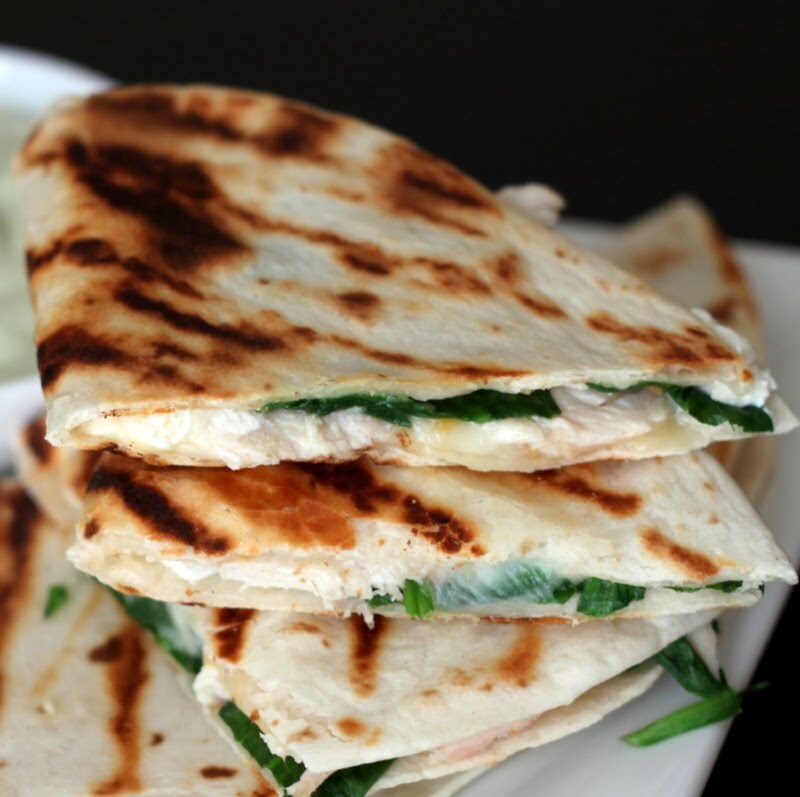 My Quesadillas really did turn out looking this fab, but I borrowed these pics from the Sugar Cooking Blog, because my pictures turned out so sad …maybe because I was too focused on eating. We’re having these babies again tonight! Add to the grill pan and cook for about 1 – 2 minutes. Carefully use a spatula to flip the empty half of the tortilla onto the loaded half. Let the quesadilla cook for about 30 more seconds, then flip it over. Give it another 1 -2 minutes, then remove from the pan and enjoy! Use a fork to mash the avocado as much as you can. ← Target… Spent $17.33… SAVED $30.31! I want that for lunch tomorrow! bought the ingreds for this tonight! !